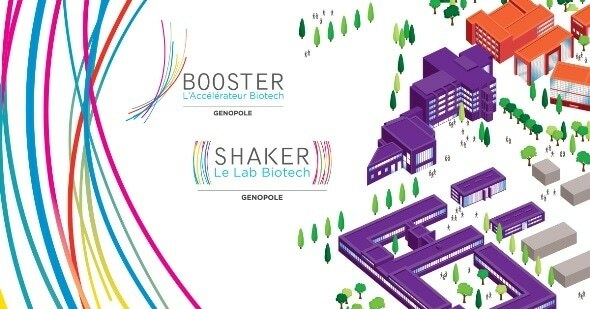 Genopole, a French biocluster dedicated to research in the fields of genetics and biotechnology, today announces that it is now accepting applications for the third intake of its support programs titled Shaker, designed for people running innovative projects, and Booster, aimed at companies that are less than two years old. For this third call for proposals, both French and international companies as well as graduates are encouraged to apply. A delegation from Genopole will present details of these support programs at stand #527 at BIO Convention in Boston (June 4–7). Following the success of the first two intakes, we are opening up the application process to international project leaders and companies who through us can benefit from the ‘French Tech Visa’ program. The scheme is run by the French government to attract international talent to France. Our ambition is to be a major player in the four P’s of medicine (predictive, personalized, preventive and participative). We also welcome innovative biotech companies in the fields of environment, energy, agri-food, cosmetics and more. Attracting new foreign talent to Genopole and facilitating exchanges between scientists and entrepreneurs from different backgrounds will encourage innovation and entrepreneurship." The first two programs ran in mid-2017 and at the start of 2018. These resulted in the selection of eight project leaders for the Shaker program and 13 companies for the Booster scheme. Projects that were selected for the second intake of the Shaker program focus on developing new techniques for measuring antioxidant effectiveness, the production of iris essential oil through biosynthesis and the development of a portable blood analyzer. A number of companies from the second intake of Booster work on software and other tools to aid decision-making in the e-health sector (related to surgical procedures, medical records in kidney transplants and neuro-reanimation). The environmental segment is also represented, with projects on pollution management solutions as well as the development of molecules for seed treatment. The first Shaker and Booster intakes were proof of their relevance and the importance of the innovation they foster. Biomédé, a company dedicated to soil clean-up that took part in the first intake of Shaker, was selected to join Booster, which shows that our programs accelerate the success of selected candidates and facilitate company creation. We are eager to present our support packages and their benefits to international candidates who will be welcomed for this third intake." Applications are accepted until midnight CEST on July 20, 2018. The selection committee will meet on September 12 and 13, with new teams joining at the start of October.